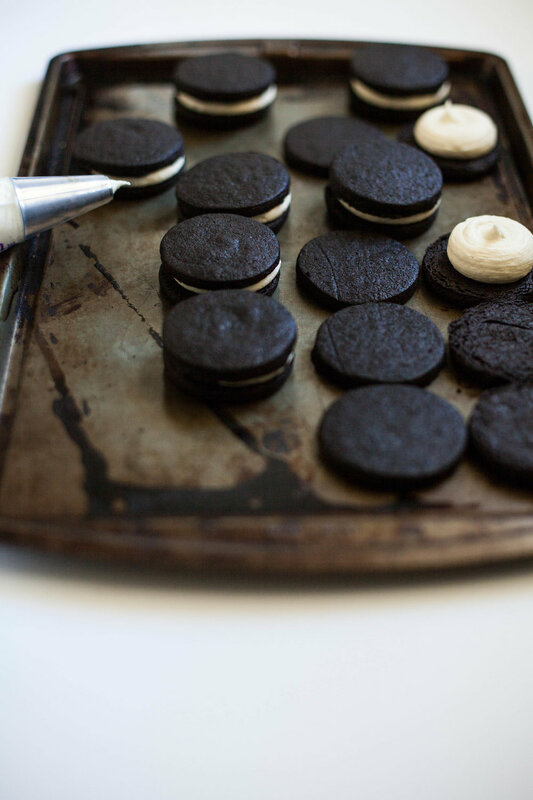 Tahini Oreos — always with butter. Oven 325 F. Line two baking sheets with parchment and set aside. In the bowl of a stand mixer, cream together the butter and sugar until light and fluffy. mix in the vanilla. slowly add the dry ingredient mixture and beat until it comes together in a ball. Bake the cookies for about 20 minutes, or until the tops are no longer shiny. Transfer to a rack and cool completely. In the bowl of a stand mixer fitted with the whisk attachment, beat together the butter and tahini until creamy. Add the powdered sugar, vanilla and salt and beat to combine. 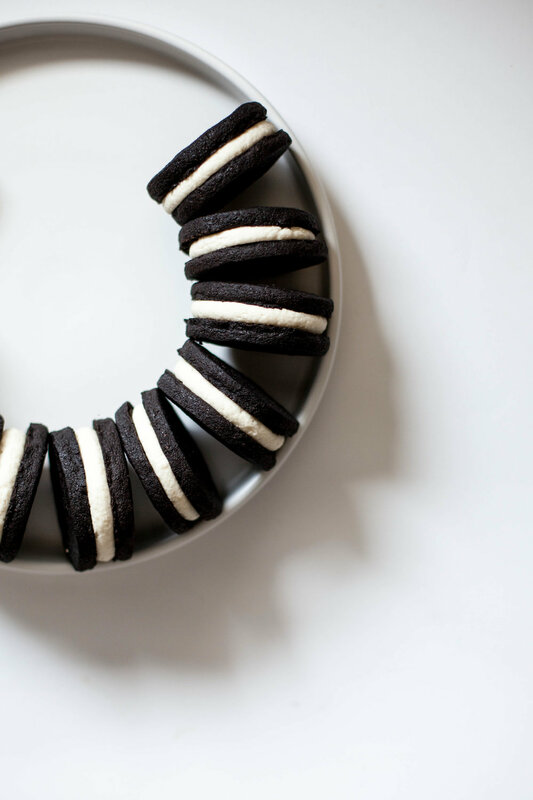 Fill a piping bag with the filling and pipe a blob onto the center of half the cookies. Top them with the rest of the cookies to make little sandwiches.